Quite generous: Reserve Bank of India deputy governor V. Leeladhar says foreign banks make more profit in the country than the public sector banks because of their concentration in major cities. 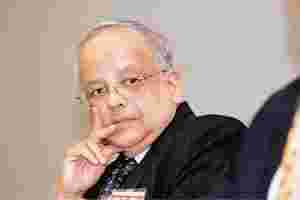 Mumbai: India’s banking regulator is more liberal in allowing US banks to set up shop in the country than its US counterpart is with Indian banks that wish to operate in that country, according to Reserve Bank of India (RBI) deputy governor V. Leeladhar. Delivering a special address at the “Bankers’ Conference 2007" organized by Bank of Baroda, Leeladhar said that while RBI is going beyond its commitment to the World Trade Organization (WTO) and allowing foreign banks more space in India, the US banking regulator is not doing the same with Indian banks. Under its commitment to WTO, India is required to give foreign banks licences to open 12 branches every year; RBI has actually allowed foreign banks to open more. Between 2003 and October 2007, the regulator has permitted foreign banks to open 75 branches and offsite ATMs. RBI’s branch authorization policy for foreign banks, according to Leeladhar, is “quite generous, and not merely liberal". The deputy governor emphasized that “reciprocity" should be the guiding principle for allowing foreign banks’ entry into India. Between 2003 and October 2007, India granted 19 licences to US-based banks to open branches in the country, but the US did not allow any Indian bank to open its office in US territory. Indian banks have moved the US banking regulator for setting up three branches, two subsidiaries and nine representative offices. “Some of the requests have been pending with the US authorities for more than five years," Leeladhar said. The deputy governor’s statement assumes immense significance in the context of RBI’s promise to revisit its existing banking ownership norms in April 2009. Under the existing norms, no foreign entity can own more than 5% in a local bank, and RBI is expected to revise the norms and open up the sector in the fiscal year beginning April 2009. “The message is quite clear. Unless the US changes its approach to Indian banks, the Indian banking regulator is unlikely to welcome US banks in India with open arms," said a banking consultant who did not wish to be named. Incidentally, ICICI Bank Ltd recently received a licence from the US authorities to open a branch in New York. Debunking the notion that foreign and non-resident participation in the Indian banking market is insignificant or restricted, and that the policy or regulatory environment is not conducive to this, Leeladhar went on to describe ICICI Bank and HDFC Bank Ltd as “foreign-owned banks". Without naming them, Leeladhar said: “There are… two large Indian private sector banks in which the non-resident ownership is very close to 74%… which could, therefore, be considered as incorporated in India, but predominantly foreign-owned banks." However, the latest shareholding pattern of HDFC Bank shows that foreign holding in the bank has come down to about 50.5%. Along with these two banks, the foreign banks in India have a market share of 17.46% in deposits, 18.65% in advances and 76.63% in off-balance-sheet businesses such as banks’ exposure to derivatives and fee-based businesses, which, according to him, “by no means are insignificant levels". Leeladhar also mentioned that foreign banks make more profit in India because of their concentration in major cities. The net profit per branch for foreign banks in India for the year 2005-06 was Rs11.99 crore against the corresponding ­figure of Rs0.33 crore for the public sector banks. In 2006-07, the return on assets (RoA) of the foreign banks was 1.65% and the return on equity (RoE) was 14.02%. The corresponding figures for the public sector banks were 0.82% and 13.62%, respectively. At present, there are 29 foreign banks operating in India, with a network of 273 branches and 871 offsite ATMs. Leeladhar also came down heavily on domestic banks for not utilizing the branch licences given to them by the banking regulator. RBI offers branch licences to individual banks once a year after the banks submit their annual branch expansion plan, approved by their boards. Even though the banks were granted 97% and 62% of the licences they had sought in fiscal years 2005 and 2006, respectively, they have not yet utilized them. For instance, 30% of the branches for which licence was given in 2005, and 38% in 2006 have still not been utilized. In 2007, 61% of the branches for which licences were given have not yet been opened.